If you have dyslexia, learning basic reading, writing, and language skills can be a life-long struggle and a source of frustration. 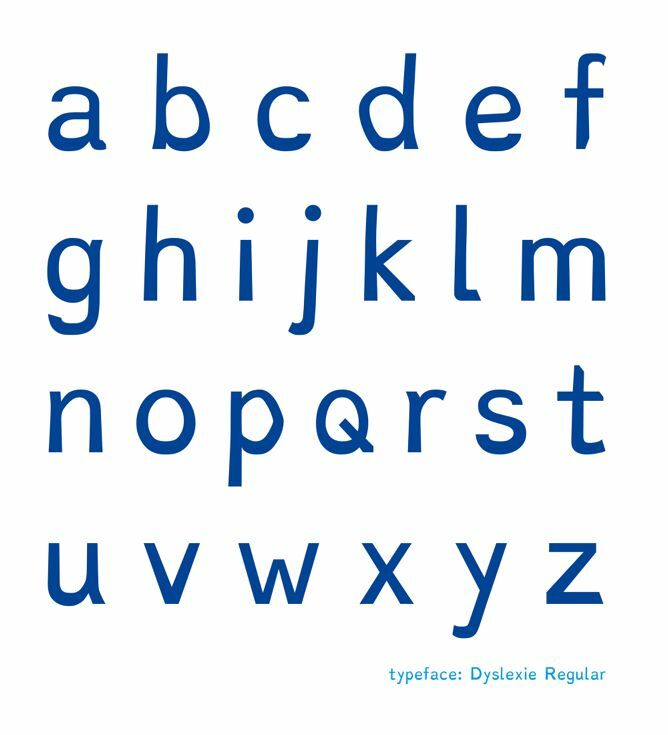 Dutch designer Christian Boer has stepped in to help dyslexic people by creating a specific typeface called Dyslexie that may make it easier to read. Boer, a graduate of Utrecht Art Academy, was inspired to create the typeface by his own struggles with dyslexia. The font looks a lot like a typical typeface, but is designed so that the difference between each character is more pronounced. Dyslexia, also called developmental reading disorder, occurs when the brain has trouble recognizing and processing certain symbols. It is estimated to affect about 10 percent of the world's population, according to the U.K. charity Dyslexia Action. According to the National Center for Learning Disabilities, some with dyslexia have trouble with reading and spelling, while others struggle to write, or to tell left from right. Boer says on his website, "When reading a text in the dyslexia font, people with dyslexia have a lot less trouble and fewer errors are made." Dyslexia can also make it difficult for people to express themselves clearly. It can be hard for them to use vocabulary and to structure their thoughts during conversation, the National Center for Learning Disabilities says. Boer, who is showing the font at this year's Istanbul Design Biennial, conducted research that shows the font allows children to make fewer reading mistakes. According to Boer, researchers at the University of Twente and the University of Amsterdam also studied the effects of the font and corroborate this finding. Dyslexie is available to download for home use for free on Boer's website. Another font designed for dyslexics, OpenDyslexic, was introduced in 2011 and is also available for free download.